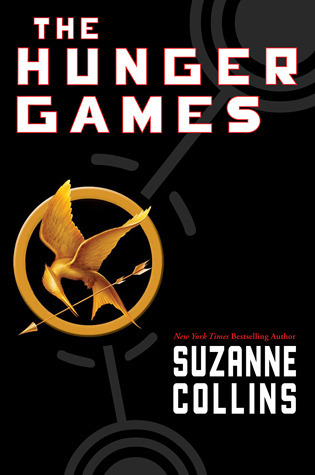 Sixteen-year-old Katniss Everdeen, who lives alone with her mother and younger sister, regards it as a death sentence when she steps forward to take her sister's place in the Games. But Katniss has been close to dead before --- and survival, for here, is second nature. Without really meaning to, she becomes as contender. But if she is to win, she will have to start making choices that will weigh survival against humanity and life against love. I would've read this book as soon as it came out but at that time, it didn't interest me in any way whatsoever. That was a HUGE mistake. However, I am finally able to join in on all the hype. 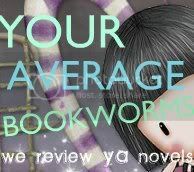 I am a huge fan of stories with make believe or futuristic worlds. The setting created in this story seemed so fascinating I was hooked before the real games even started. The build-up and introduction of characters created great excitement because it felt like I was right there observing and watching the events take place. All the describing and explaining at the beginning was within perfect pace. It did take half the book before the Games began but I didn't have to guess and interpret my way through the book. The Games itself was epic, dangerous, adrenaline rushing, violent, somewhat gruesome deaths filled with mischievous and devious schemes to get rid of their opponents. It's either kill or be killed. Katniss was the perfect contestant. Edgy, bold, feisty, independent, clever, nimble, a hunter at heart. The supporting characters brought out Katniss' personality and survival instincts and proved to many how girls can be more tough than guys. Peeta and Katniss' completely opposite personalities showed how well these two would be as a couple. He melted Katniss's ice cold personality a little showing her more desirable and caring side. Collins has written the perfect book that allows readers to get away from the real world, and escape into someone else's. On a side note, right after I finished reading the book I went to watch the movie. The movie was a little disappointing but I did expect this, movies never really do the book justice. The arena and elements in it were different than what I had visualized in my mind, however, it was still an enjoyable movie. You gave the cover an 8? I hate the cover...I mean I liked it after I finished reading it cause it made sense but I would never have picked it up if my friend hadn't shoved it at me. I gave the cover an 8 because the Mockingjay was significant for the book so I thought it was a smart idea to make it the main focus. I like the simplicity of the cover actually. I also found the moving to be disappointing. It lacked so much detail from the book.